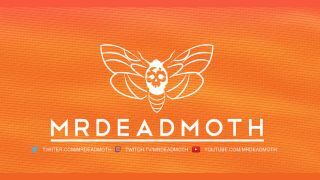 MrDeadMoth was streaming Fortnite at the time. A streamer, going by the username MrDeadMoth, has been arrested by New South Wales police after viewers heard him allegedly assaulting his partner while he was streaming Fortnite on Twitch. During the livestream, clips of which have been posted on Twitter (via VG24/7), the Australian streamer and his partner got into an argument which then escalated. MrDeadMoth was asked to stop playing Fortnite, but he refused. While the alleged assault happened off-camera, you can make out his partner calling him a “woman basher” and saying “you hit me in the face”. One of his children shouts “Daddy, Daddy” at the end of the second video. It goes without saying that they’re disturbing to watch. Two children, a 20-month-old and a three-year-old, were in the home. New South Wales released a statement saying that the woman was “distressed and shaken by the incident” but thankfully not seriously injured. MrDeadMoth has been granted bail and will have to appear in court on Thursday. His Twitch account has been deactivated.